Move over - there's room on this pillow for everyone! 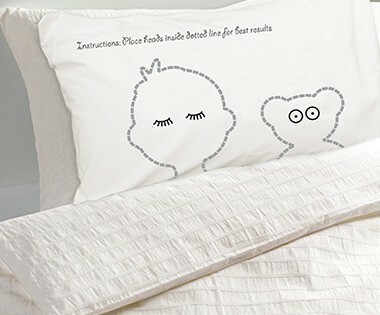 Move over – there’s room on this pillow for everyone! You know when the kids hop into your bed and you discover that a two-year-old can command the majority of a king-size bed while you are left clinging to the outer seam of the mattress? Now you can mark your territory*. *Note: the kids still get all the space. 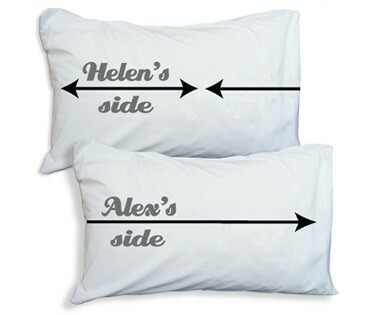 The pillowcases come in various combinations (depending on whose side of the bed is whose) and personalised sets are also available. 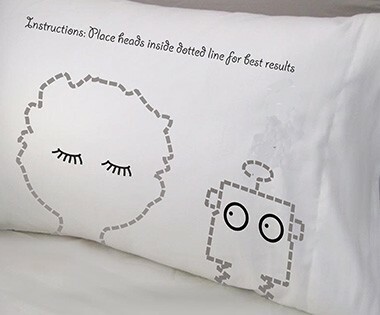 If you’re confident the kids will stay in their own beds, then you may like to indulge them with one of Twisted Twee’s sweet Sleepy Head pillow cases or the slightly cheekier Headcase pillow cases. 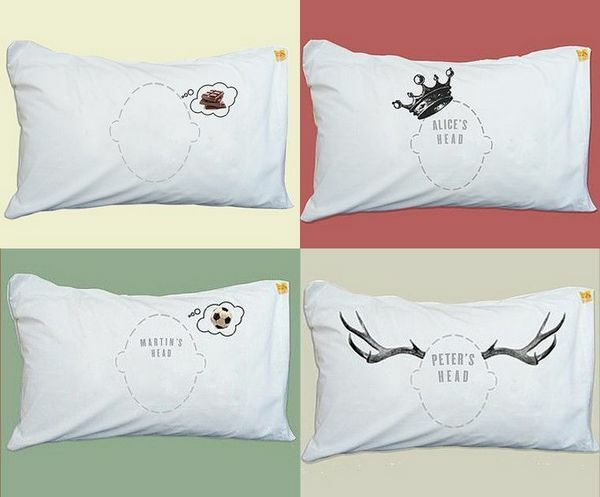 The Sleepy Head designs have a spot for kids and a spot for their bedtime friends (whether that be a teddy, a rabbit or a robot) while the Headcase pillows have all sorts of kooky designs from chocolate and soccer dreams to headphones, antlers and crowns. Designs can be personalised. Space Invader pillowcases begin at £26 and Sleepy Heads and Headcase pillowcases are £16 each. Twisted Twee ship internationally.